This is a view of Venus as a morning star in the dawn sky. 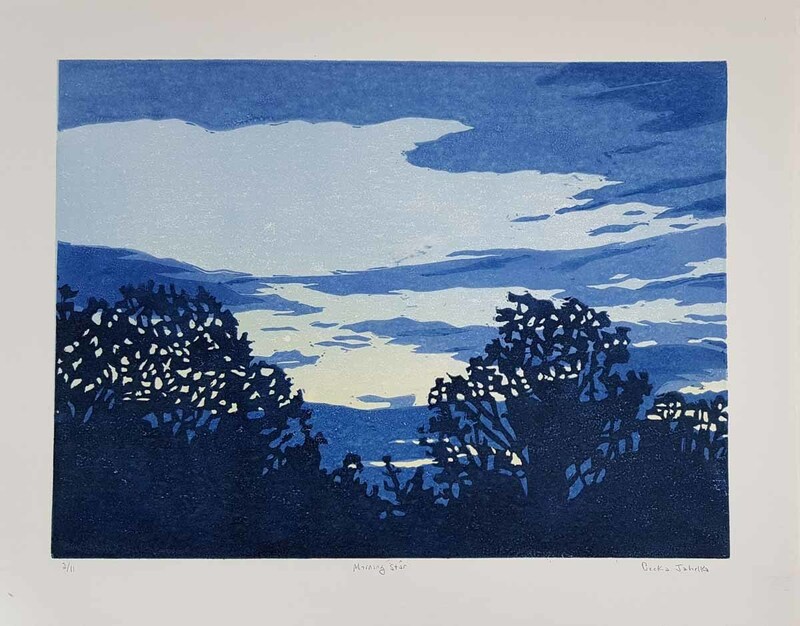 The edition of 11 linocut reduction prints varies slightly in the dawn colors. This print is numbered 4 in the edition. The printed image is 8.5 by 11.5 inches on 11 by 14 inch multimedia paper.